This frustration ranks up there along with wondering why I was never employee of the year. Why do good volunteers fade away? Why don’t they tell us the truth about why they leave? Why aren’t they honest with us? We’re really nice people and we listen, right? Well, maybe because we need to be more than honest with volunteers right from the start. We need to be honestly honest. Oh sure, we say to them, “hey, this volunteering might not be for everyone,” but doesn’t that just smack a bit of sanctimonious superiority? 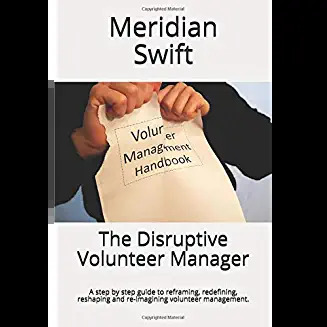 Doesn’t that just have an undercurrent of “oh, our volunteering is only for the good volunteers, and that’s probably not you?” If someone said that to me, I’d be looking for the nearest door and planning my exit move too. Maybe the breathy tales of our great volunteers can be a bit, well, off-putting for new volunteers. Who wants to have to live up to a Gandhi or a Mother Teresa? Maybe, instead of peppering our new volunteer training with story after story of long-term volunteer successes, we could also talk about volunteers who leave and how that’s ok.
Every volunteer leaves a lasting impression on us. And while we strive to make volunteers comfortable with us, they may not be comfortable enough to share the reasons they leave. 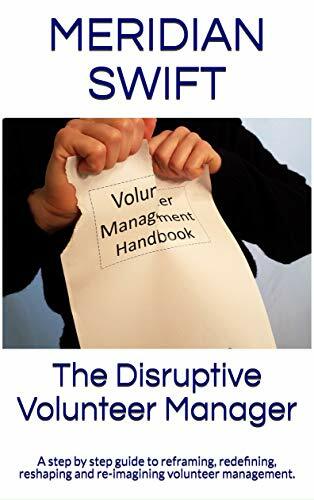 They may just think that our conception of a good volunteer revolves around how long they stay. Then, when they fade away, we lie awake and night and wonder why. So why not be honestly honest from the beginning and try to make it easier on them. And ultimately, easier on us too. Thanks Eileen, love your perspective and I agree that honesty is appreciated. I think we all care about our volunteers and want them to succeed, even if that means not with us. The message that we care about them, respect their time and talents and want to show our gratitude should help set a tone for volunteers to be honest with us when they think about leaving.